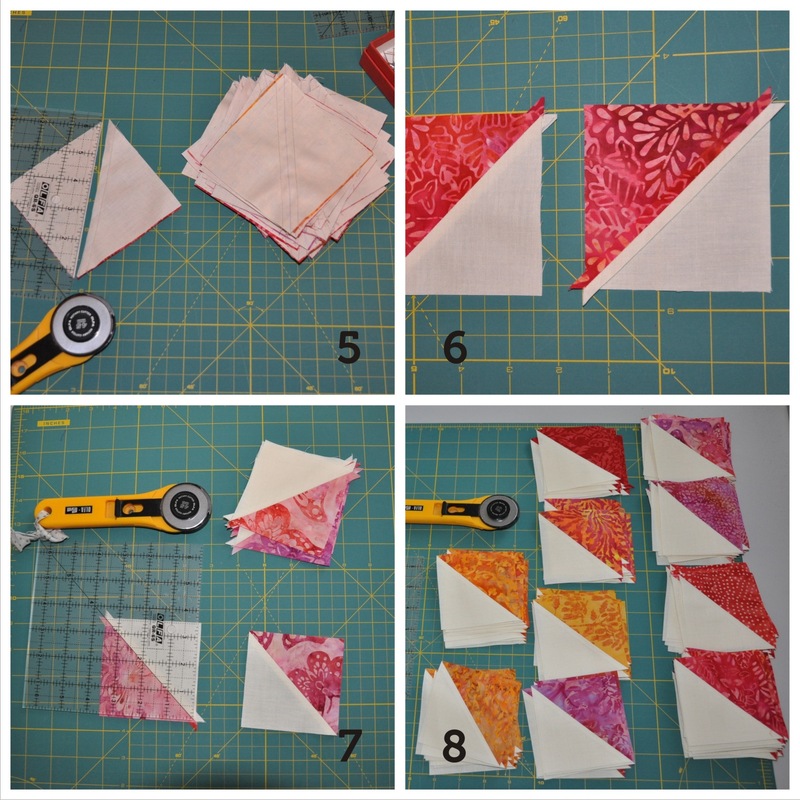 HST – Half Square Triangle Quilt – the one I always wanted to make and never started. 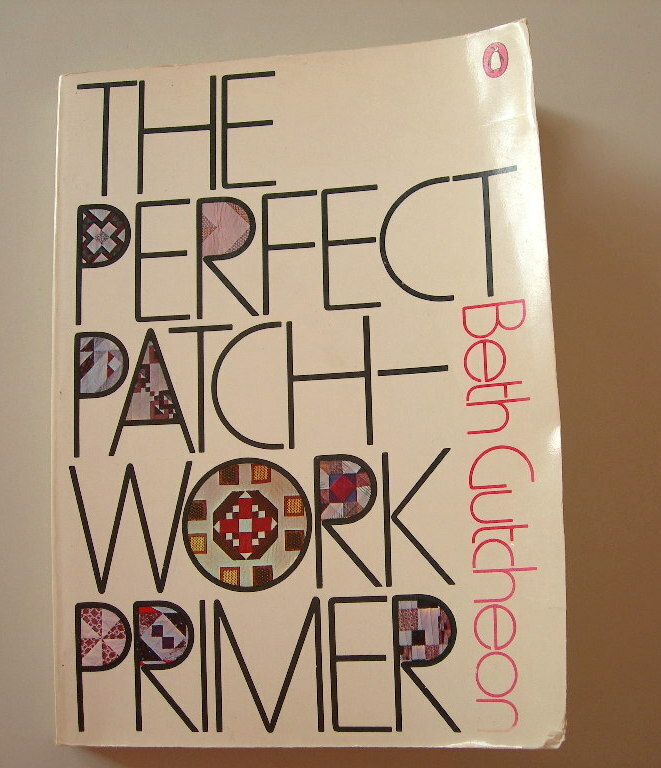 This easy pattern is ideal for practicing precise cutting, piecing and pressing. 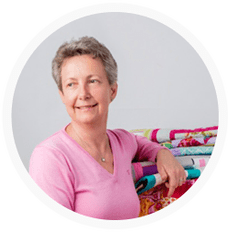 Since I was working with the wonderful batiks on my last project and liked them very much, I decided to carry on with the same fabrics. They are so colourful and warm. Distribution : 16 rows with each 14 HST blocks, all together 224 HST blocks. I have decided to work with 4″ strips. 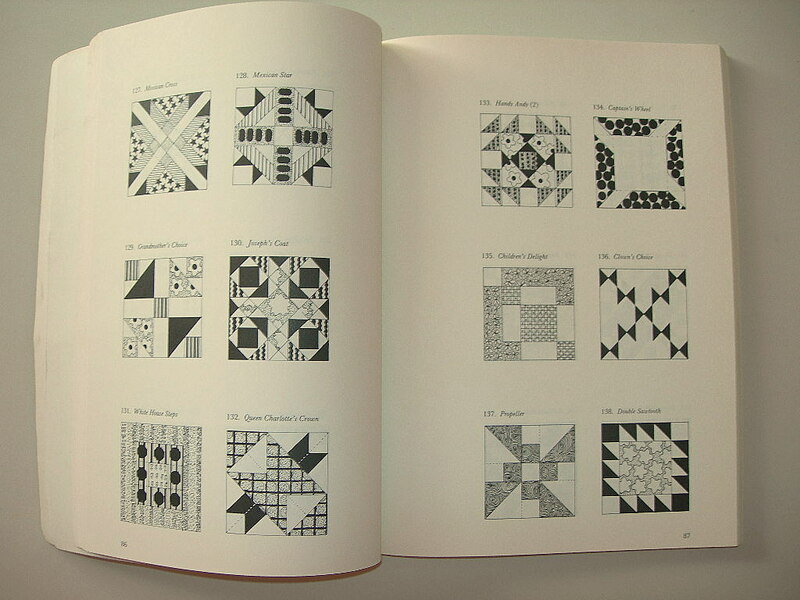 After piecing and trimming the blocks have a size of 3,5″ x 3,5″. 3. Sew all squares along the drawn line with a 1/4″ seam allowance (normally width of the presser foot) using the chain piece method. 4. 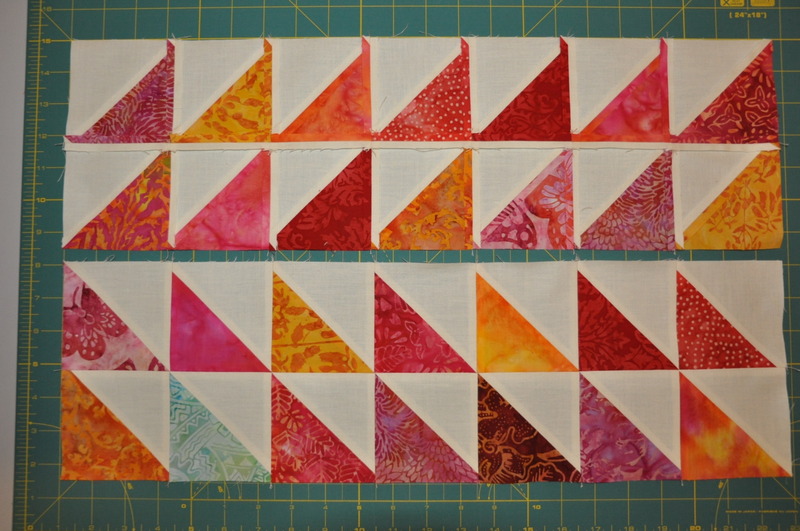 Complete the piecing by sewing along the other side of the line. 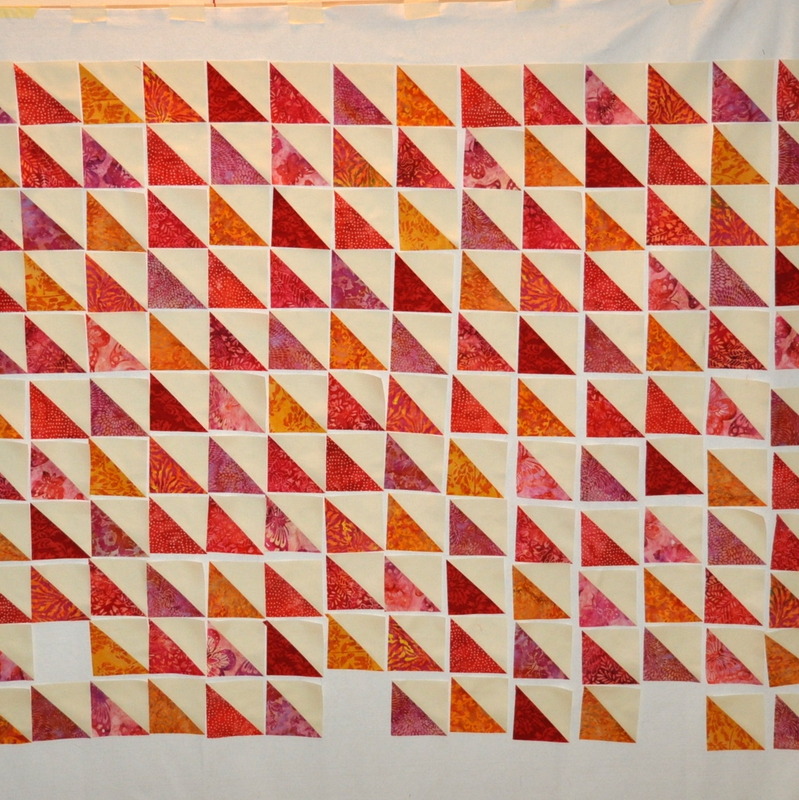 I have decided to subdivide the quilt into several sewing batches. 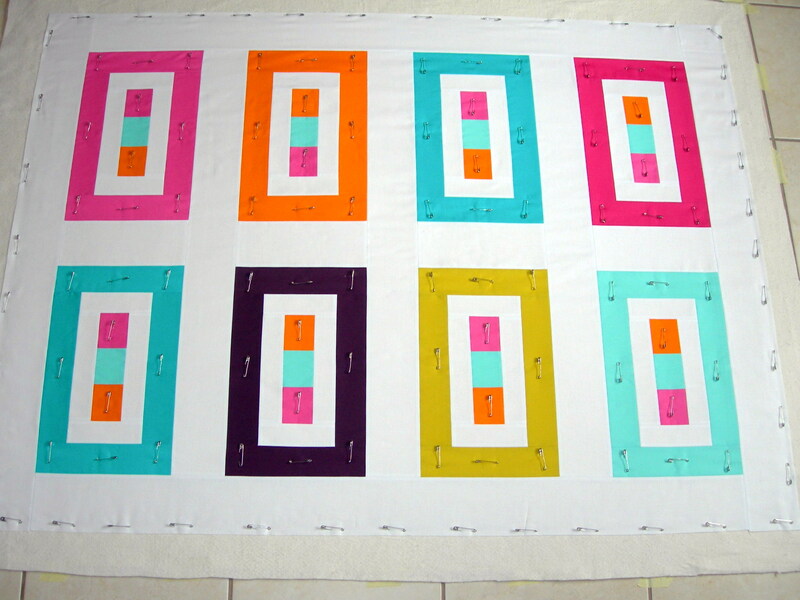 Taking always 4 rows with 7 squares. 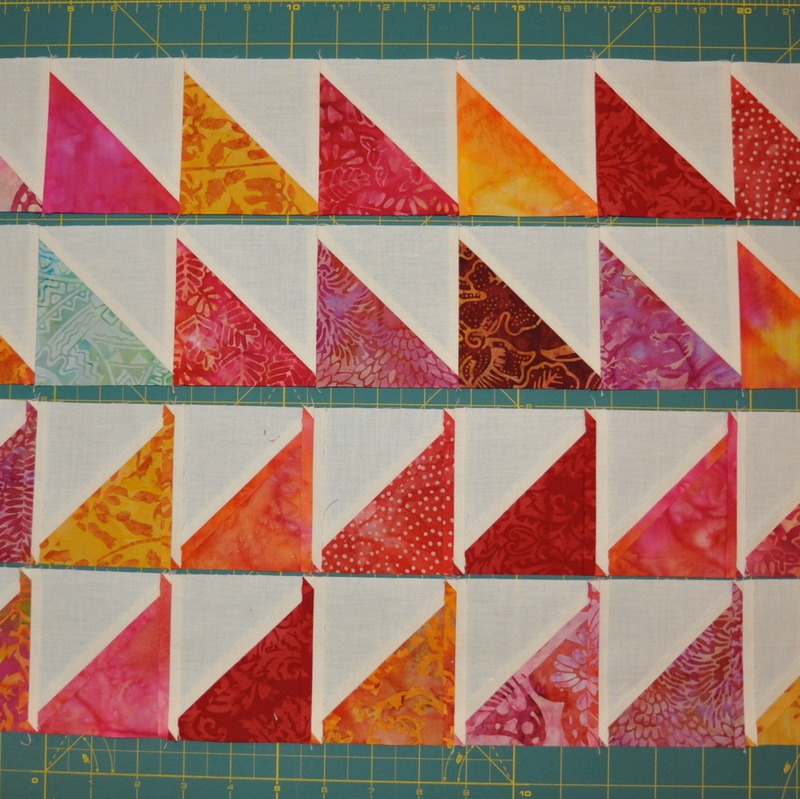 First I sew each row together, then the rows and as last the batches. 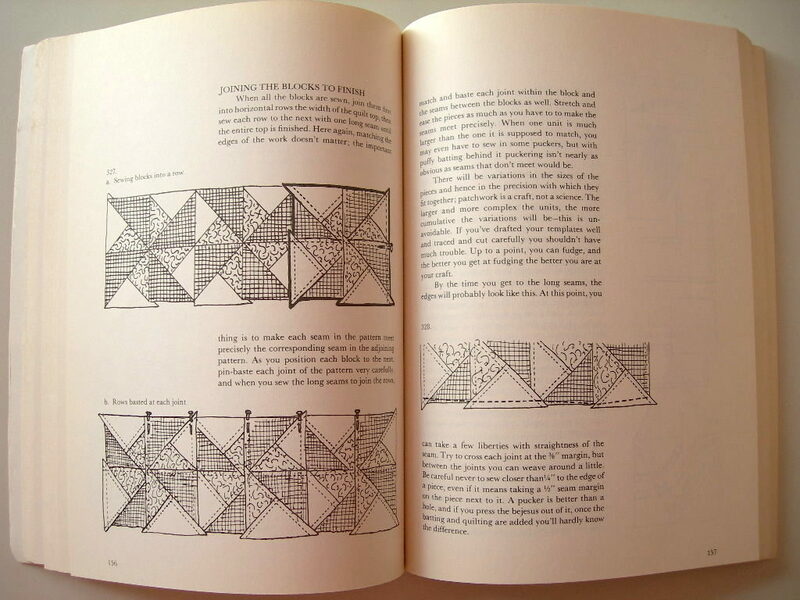 Prepare a sandwich and quilt as you want. 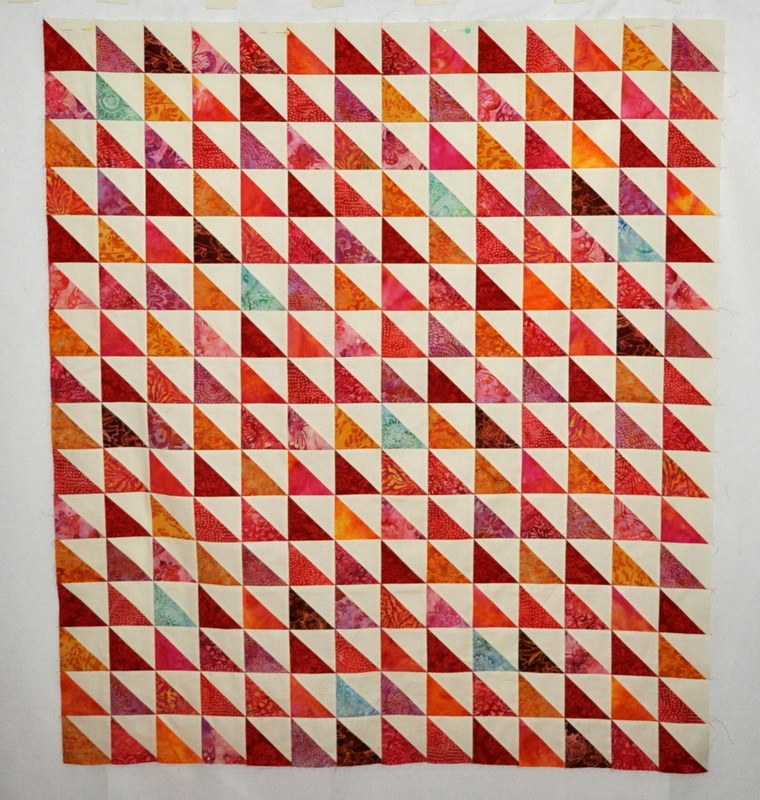 After a lot of straight line quilting I decided to go for free-motion quilting. 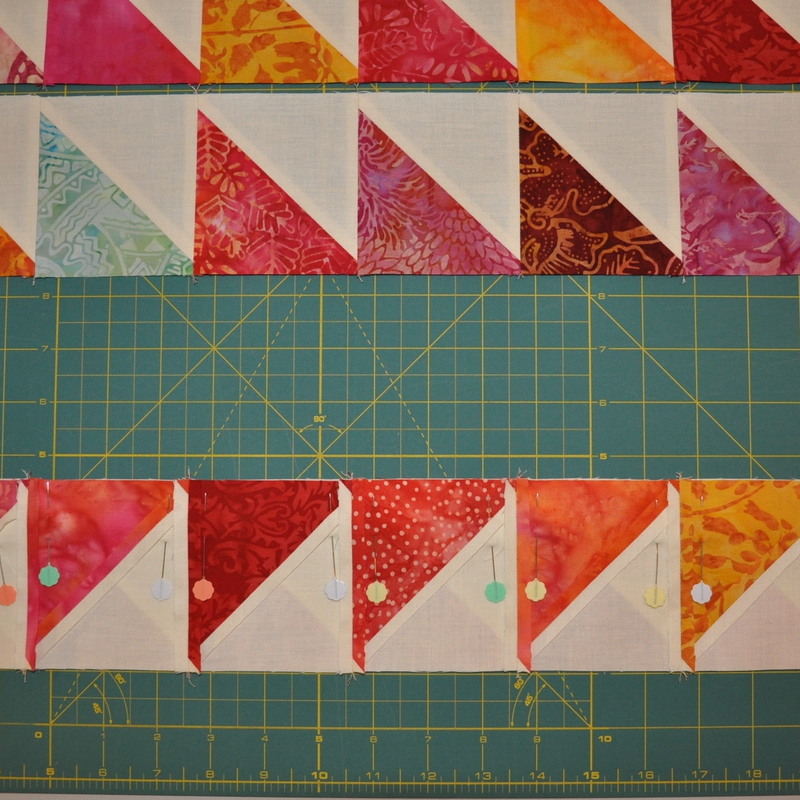 Trim the quilt and add binding. 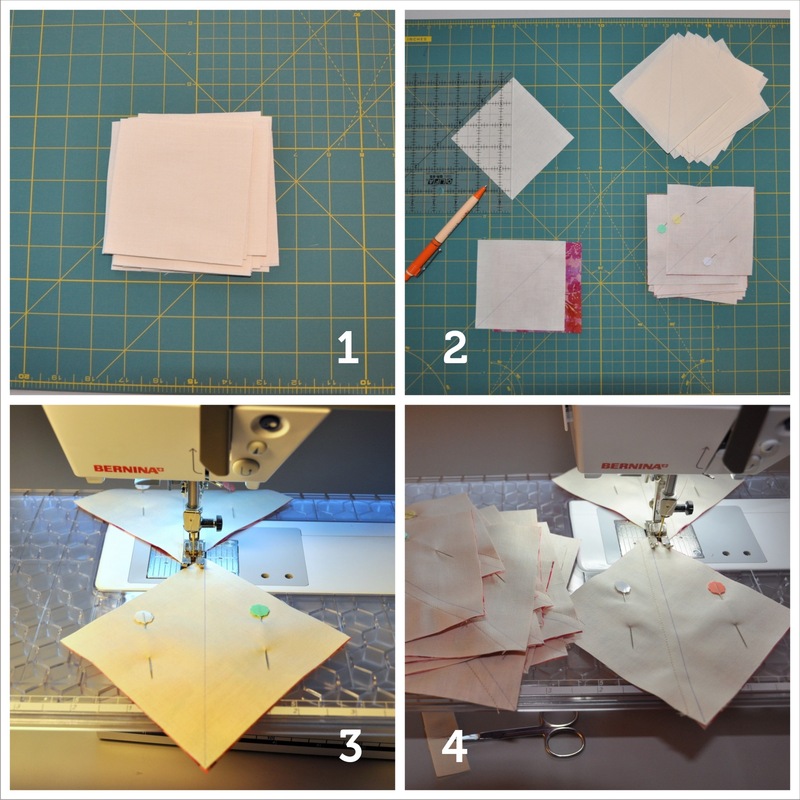 My favorite machine binding tutorial. 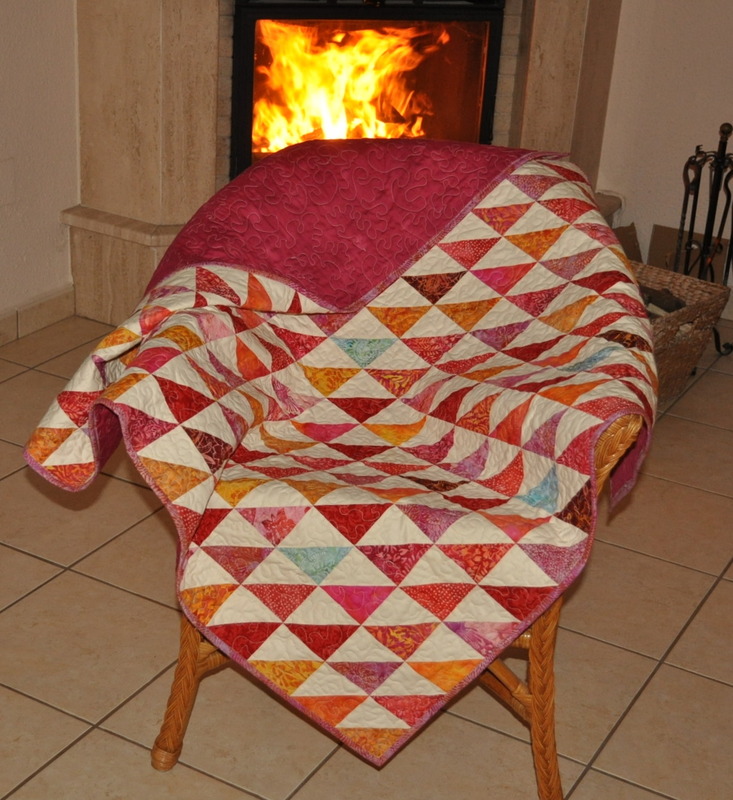 The quilt is listed on Etsy and Dawanda. S O L D ! !